Hijab Fashion 2018: Latest fashion, style and trends. Islamic ways of leading our lives are perfect and beautiful. Being born as a Muslim is a blessing of Allah and every Muslim should be thankful for it. The teachings and beliefs of Islam are very simple to follow and let us live a peaceful life. According to Islam women should keep their heads and bodies covered. 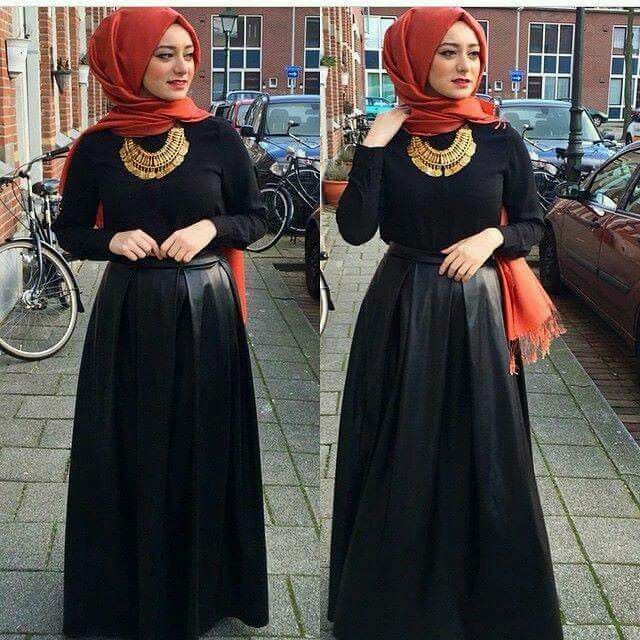 Hijabs are usually used to cover the heads and you can use scarves, dupatta, mufflers for this purpose. Mostly, girls think that wearing hijab would make them look ugly but this is not the case. 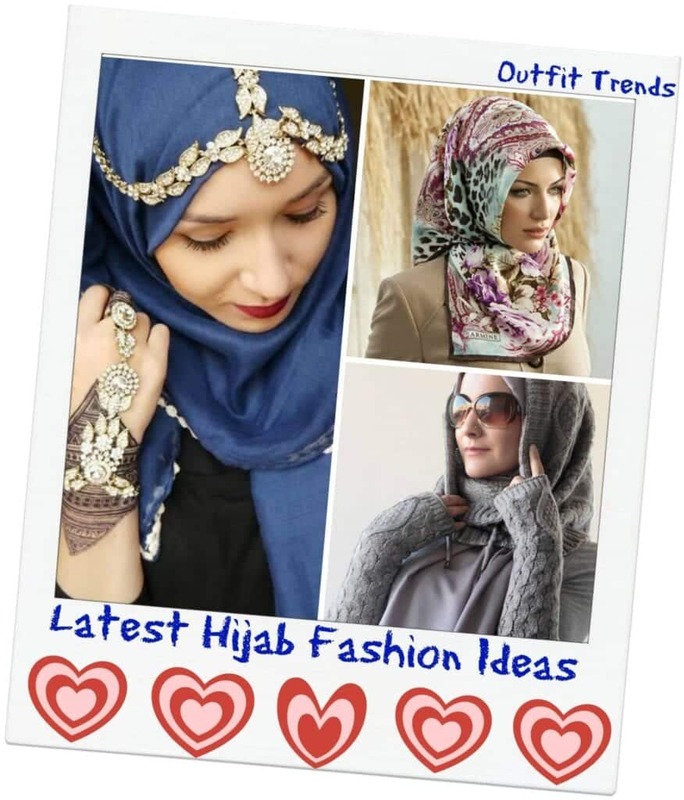 Today there are several different and stylish ways to carry hijabs that make you look decent yet chic. In this article, we’ll basically focus on this growing trend all around the world. The Arab ladies look elegant while wearing hijabs and keep themselves updated with the latest trends going around. In this modern and fast growing age of today, a certain fashion trend comes and goes within different intervals of time. Today’s generation loves to do everything with glamour and style and love to make their own style statements. in the old days, women used to cover their bodies with simple single stitched abayas in only black colors. But today every lady prefers to wear abayas that are perfectly stitched and black is not the only color considered for abayas nowadays. Colorful printed scarves can be used as hijabs and they give a very girly and chic look to the lady wearing it. A perfect combination of pink and black, heels, bag, a hat and all of this while wearing a hijab. A style statement that everybody would praise. Turban hijabs are very comfortable as they do not fall around your shoulders and you can easily do your everyday chores in them without getting tangled or irritated by a hijab. Who ever says that beaches are all about bikinis is totally wrong. You can carry a chic and effortless look to a beach and be all sandy while enjoying the water waves. If you do not want the loose strand of your hijab disturb you in your chores all day then the best way is to make a braid out of it. It would look classy and will also help you do your tasks easily. A perfect combination of light colors for your summers. The white and blue shades definitely look and feel cool and the umbrella is a perfect addition to your overall hijabi look. It is an old and a very common trend that the color of your shoes and bag should match. We can add a bit of transformation in this trend by taking the bag out of the equation and adding the hijab in. Mostly girls do not understand how to wear neck pieces while wearing hijabs. This picture perfectly shows how to wear a hijab so that a necklace can be worn with it. Chiffon scarves are the best addition to your summer wardrobe. This material is breathable and very light and you can add layers to your hijab with this material as shown in the picture. You can add head accessories to your hijab and add some sparkly touch to it for a wedding or some desi party. You can tie a bow with the loose strands of your hijab. It is your choice you if you want to add it to the side, in the front or at the top of your hijab. Desi Weddings are all about traditions and customs. Brides are usually seen wearing a red colored outfit at their weddings. Sarees are also quite traditional but the combination of a saree for a bride with a hijab is not so common but it definitely looks amazing on this girl in the picture. Slms. … where are you based looking for purchasing yur items. But it is not islamic islam doesn’t say to wear like this. why you support this?